Welcome to Sleepy’s Kawana. We have been a part of Sleepy’s for over ten years now and are passionate about the health and wellbeing of our customers. Our friendly team are fully trained to assess your sleeping needs and offer professional advice and assistance in selecting the right mattress for optimum comfort and support. With our combined wealth of knowledge and expertise, we make purchasing a mattress an experience. We offer exceptional personal service and great quality products. We are so confident in our ability to match customers to the perfect Australian made mattress, that’s why we offer a 60 Night Comfort Exchange Guarantee. Visit our friendly Sleep Consultants today to help you maintain a rejuvenating sleep every night. I would like to say a big THANK YOU! My partner Ashlee and I were in the market for a new bed. 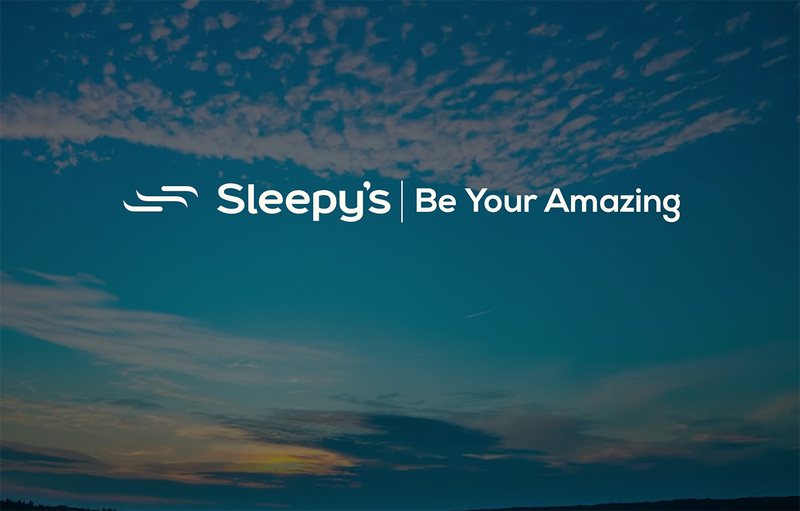 As Sleepy’s offer a 60 night sleep guarantee and I had bought my previous mattress from your store, I was keen to visit again and so glad I did! On Thursday 16th May we went in to your store, we got the help and advice we needed, a price we were happy with and it was delivered that night. We purchased a new Contempo Luxury Mattress, Latex pillows and Bamboo protectors. The main reason for my letter today is because of the after-sales service! I work in retail and I know how rare it is to find good service, such as the service you and your team provide. With the combination of our new mattress and the right pillow I had a complete night’s sleep for the first time in months! I owe it all to you and your team. So again… A big THANK YOU! Geordie and I just wanted to drop you a line and let you know we had the best sleep in years the last couple of nights! We are thrilled with the comfort, support and incredible sprawling room of our firm mattress super king ensemble. Your down to earth ease of relating to us as people (and even cheeky humour) and attention to our specific physical sleeping needs as well as exceptional service in regards to the quality, price, speed of manufacture and delivery of our new bed have left us very satisfied customers. Your no-pressure approach meant we comfortable dropping in to your showroom several times to try different beds and gain your advice on our needs, as well as lay down for extended periods in peace on the bed types we were most considering. This was in stark contrast to other bedding retailers and franchisees. We will be recommending Sleepy’s Kawana to everybody! I purchased my new mattress from you and I just wanted to tell you that we absolutely love it. I knew my old mattress was past its use-by date, but did not realise just how bad it was until we slept on the new one. Thanks for your help selecting the mattress. The delivery was also on time which is rare on the Sunny Coast. Will be happy to shop with you again and recommend you to friends and family. Thanks again. I just wanted to say how pleased I was with the recent service from your store. I recently purchased a new mattress and the sales lady did an exceptional job helping us choose the perfect mattress — no easy task! I was really impressed with her expertise and professionalism especially as I am not the easiest customer and I just wanted her to know that she did a fantastic job. The entire experience I had with Sleepy’s was great from the sale to the delivery, and extra attention to detail and friendly service throughout. Thank you so much. I would just like to say thank you for your kindness and patience, undying love, caving in to my demands and insistence for immediate deliveries, delivering in tornados, sleet, snow and unforgiving wind, all with that memorable Sleepy’s smile. We really have appreciated the incredible professional service you have provided since our paths crossed around 18 months ago. I should be sending you an album filled with photos of our guests smiling in appreciation of our mattresses! We had 7 apartments fitted with new mattresses and the guests were over the moon with their sleep last night on the latest delivery. Until next time! Just a quick note to say thanks for helping us choose a good bed, then fitting us in amongst your family’s important health concerns and delivering the bed the same day! Wow, that is great service. And the bed is great! I know you said we’d need a week to settle in to the new bed but the first night we both had the best sleep in months. And it was critical that we got our rest as we ramped up towards opening our new medical centre at Brightwater. Thanks again and I wish you all the best. Just wanted to thank you both for your friendly service and help with selecting the right mattress for us. It was much appreciated and something you don’t see a lot of anymore. We would like to send a big thank you to Sleepy’s for their time and patience and all the extra effort they put in to help us with our recent purchase. We have 2 mechanised bed bases with two separate mattresses. The bracket to keep the two bases together was missing and Sleepy’s got it sent express delivery and we had it in 2 days! Nothing was too much trouble. They organised delivery (we are in NSW) and kept calling to make sure all went well. We cannot speak highly enough of the great during and after sales service. We would recommend anyone looking for a new mattress to go to Sleepy’s Kawana. I would just like to thank Sleepy’s for all of your help in choosing our fantastic bed and mattress. A truly superb service that you see so little of. You never tried to ‘sell’ us anything, just listened and advised. Many, many thanks. I wish to emphatically thank the people at Sleepy’s Kawana. We received fantastic service and delivery. I’m very thrilled with my new mattress; so much so that I don’t want to get out of bed! I particularly wanted a nice firm mattress, and the team at Sleepy’s Kawana fitted me to the perfect one. I have recommended a friend of mine to go and see them. Thank you.